Summary: Tired of living in limbo, Callie finally decides to investigate her father’s disappearance for herself. Maybe there was an accident at the construction site that he oversaw? Maybe he doesn’t remember who he is and is lost wandering somewhere? But after seeing a familiar face in a photo from the Great San Francisco Earthquake of 1906, she wonders if the answer is something else entirely. 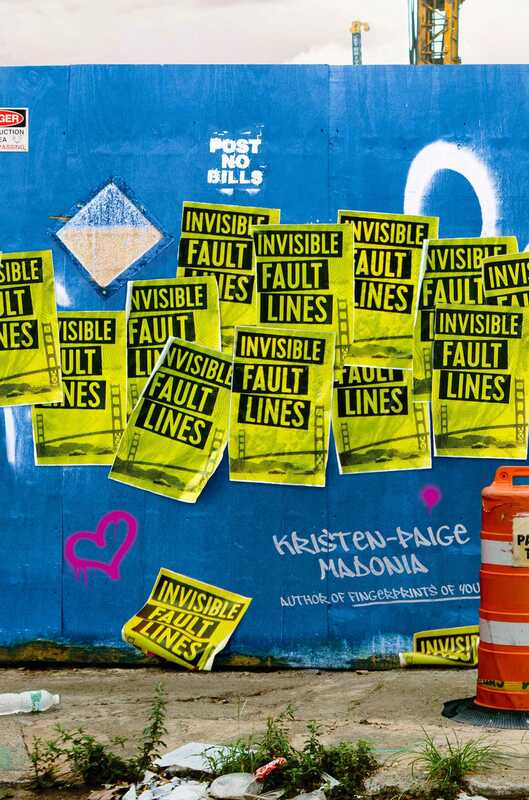 Hailed by Judy Blume as a “remarkable young novelist,” Kristen-Paige Madonia, author of Fingerprints of You, explores how to rebuild a life after everything seems lost. My Review: This book kept me guessing! From the very first page, I wondered what happened to the narrator’s father. About halfway through, I realized that it didn’t matter what happened to him because this is a story about character. It is an emotional ride through the trauma of a young girl’s life after her father goes missing. I felt all of her emotions right along with her—guilt, fear, anger. I particularly enjoyed the evolvement of her friendship with her best friend Beckett. I appreciate authors who feature characters who happen to be gay—rather than making this the sole focus of a story. I recommend this book to readers who enjoy strong character development. Teachers’ Tools for Navigation: Teachers might consider tying this story into a study of missing persons. This investigation could go beyond children as missing persons and extend into adults who are missing. Students might research local missing persons in their area, and this could lead to advocacy efforts. Discussion Questions: What do you think happened to Callie’s father? What different potential realities does Callie explore in the story? ; How does the author switch the point-of-view effectively to deepen our understanding of the story? ; What emotions does Callie experience in the story? How might we tie these into the stages of grief? Should she feel guilty that she doesn’t start looking for her father immediately? Why or why not? Can you tell us a little bit about your writing process/ How has writing this book been different from writing Fingerprints of You? The most important thing I learned from writing Invisible Fault Lines is that my process will inevitably change depending on the project. My first book, Fingerprints of You, was a fairly straightforward novel with a traditional structure and timeline, so I wrote it start to finish and was able to create the first draft in less than two months — of course it took much longer to revise and polish, but in general is was quick and relatively easy to write. My new novel is much more complicated, as it blends a contemporary mystery set in 2006 with bits and pieces set one-hundred years earlier, as the 1906 San Francisco Earthquake plays a large role in the novel. It’s a hybrid novel, and the narrative arc is a bit more intricate, so though I initially tried to use the same process I used when writing Fingerprints of You, it just didn’t work. Eventually I wrote the book out of order and then went back, during revision, and braided the two storylines together. So in terms of process, I suppose it’s ever changing! And of course that’s one of the reasons that I write – there are no rules and there’s no one way to do it. It’s about experimenting, about doing something different each time you sit down to work. Where/How did you come up with the premise of this book? Like most writers, I write from a place of curiosity. With Fingerprints of You, I was curious about the ways we define family, but this novel stemmed from my curiosity about grief and the various modes we use to manage and process loss. I began writing it after hearing David Levithan read from his novel Two Boys Kissing, specifically honing in on the sentence that eventually became the epigraph of Invisible Fault Lines: “How beautiful the ordinary becomes once it disappears.” We were both at Wordstock Book Festival in Portland, and I was in between projects, hoping to find inspiration while traveling to publicize Fingerprints of You. And there it was. That line. I couldn’t get it out of my head. I tend to begin stories with an event after which nothing will be the same for the character, and that idea of ordinary, of how our version of ordinary can shift in an instant, intrigued me. So I wanted to write about that kind of shift and about the possibility of the impossible being possible, which is where the link to the historical event, the earthquake of 1906, originated. I knew I wanted to do something completely different than Fingerprints of You and that I wanted to experiment with form and genre while staying true to my character-driven style of writing. From the outset, we wonder what happened to Callie’s father, and at one point, Callie and her friends explore potential reasons for his disappearance. We obviously won’t spoil the book for readers, but did you know how the book would end from the very beginning? I did. 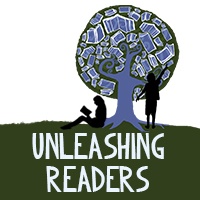 I knew that I wanted to invite the reader to participate in the novel in a more active role than my last novel allowed. I believe all books are collaborative projects between the author and the reader, but this novel leans heavily on what the reader brings to the story, on what they want to believe and how they want to interpret the events in the book. 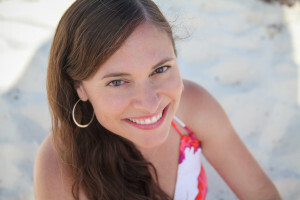 When I first imagined the story, I decided that I wanted to write a book that honors the fact that not all questions have clear answers – I think it’s part of our job, as YA authors, to be realistic and honest with our readers while also allowing for and portraying hope, so that was one of my original goals, and it inevitably shaped the ending. Beck is a wonderfully crafted character. Did you base him on anyone in your life? Oh, he’s such a scene-stealer, isn’t he?! Every time he showed up in the novel, I fell a little bit more in love with him. No, he’s not based on anyone I know, but I imagine him to be a compilation of my best friends from high school and also my current best friends: honest, hilarious, and one-hundred percent golden-hearted. You are a professor of YA Lit and creative writing. How has this impacted your position as an author or thoughts as a writer? Do you get feedback from students, or do you keep your work private? This is such a complicated question, so in attempt to not write a fifteen-page essay here, I’ll simply say that I love what I do. I find great inspiration from working with students who hope to pursue a creative life, who find value in literature and the arts. But the reality is that every moment I spend teaching and planning and grading is one less moment that I spend writing my own work, and that’s the hard part. Teaching reminds me why I write and what my tools are in terms of craft, and actively publishing new work reminds me how important it is to be a positive literary citizen, to serve as a mentor and encourage and inspire young authors. It’s a hard balance, of course, but it’s also a privilege to be both a professor and a published author, so I could never complain about the challenges. I am! And I’m in that bizarre and dreamlike phase of being equally terrified and excited by my new project. It’s also a protective phase in terms of not wanting to talk much about it yet, but I will say that it’s a project based on my curiosity about our reliance on technology and the environmental and creative effects of that reliance. Thanks so much for having me on your blog – it’s been lovely to visit with you! I like books with rich details making me feel as though I am experiencing everything right along with the character. 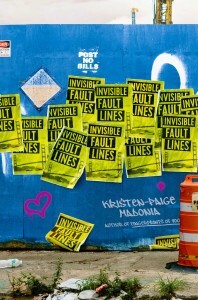 Your review of Invisible Fault Lines has piqued my interest. Thanks, my middle graders are always asking me for a good mystery. I’m excited for the mystery, plus the recommendations at the end, because I loved If I Stay by Gayle Forman and Vanishing Girls by Lauren Oliver! Thanks for the chance!